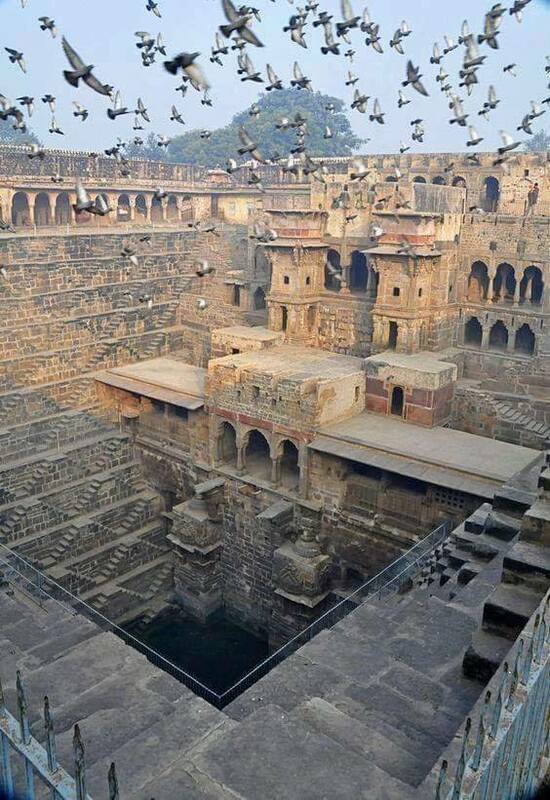 Chand Baori in Abhaneri village in eastern Rajasthan, India, is one of the most overlooked landmarks in the country. 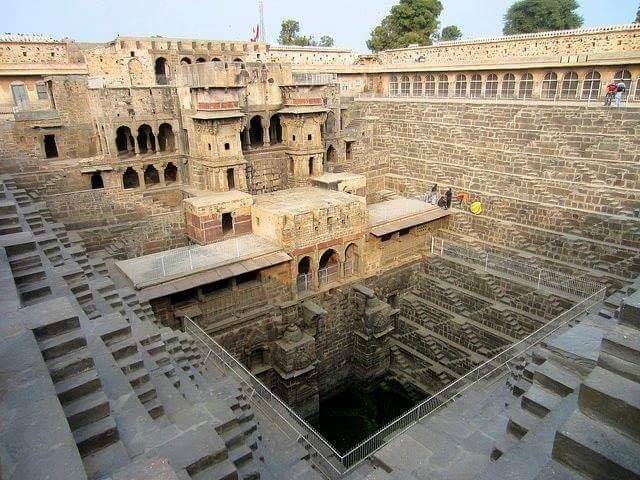 It is one of the oldest stepwells in Rajasthan and is considered to be among the biggest in the world. 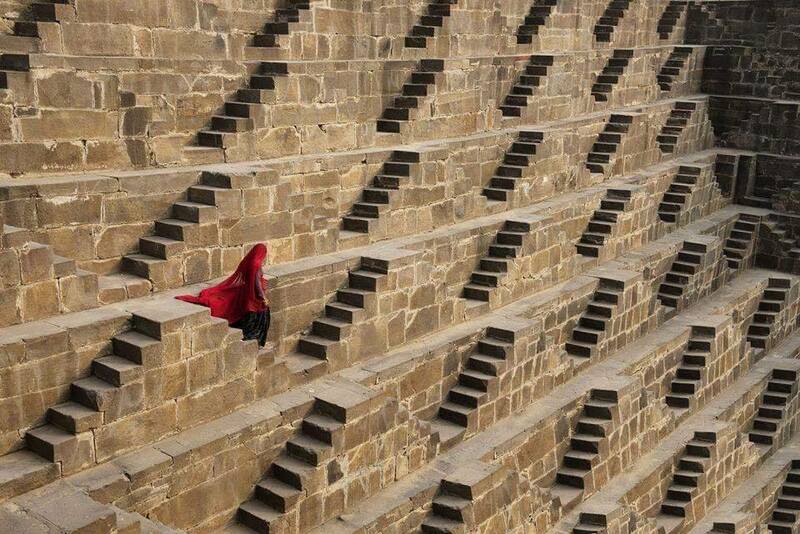 Chand Baori looks like anything but a well. 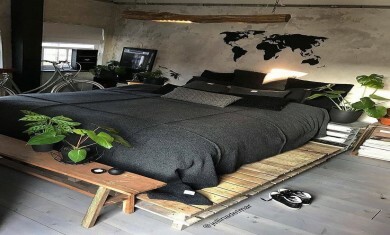 This incredible square structure is 13 stories deep, and lined along the walls on three sides are a double flight of steps. 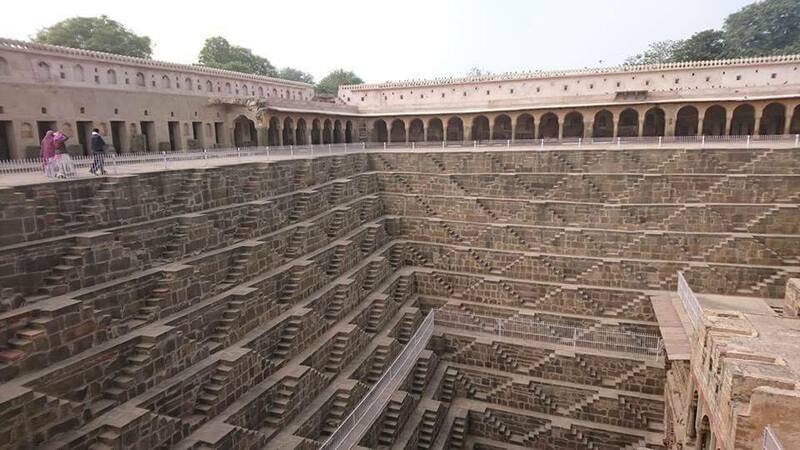 3,500 narrow steps arranged in perfect symmetry descends to the bottom of the well 20 meters deep to a murky green puddle of water. 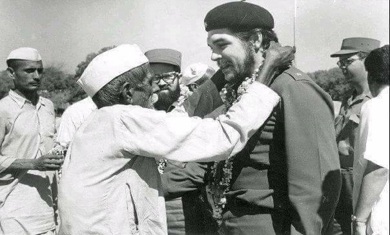 Built during the 8th and 9th century by King Chanda of Nikumbha Dynasty, provided the surrounding areas with a dependable water source for centuries before modern water delivery systems were introduced. 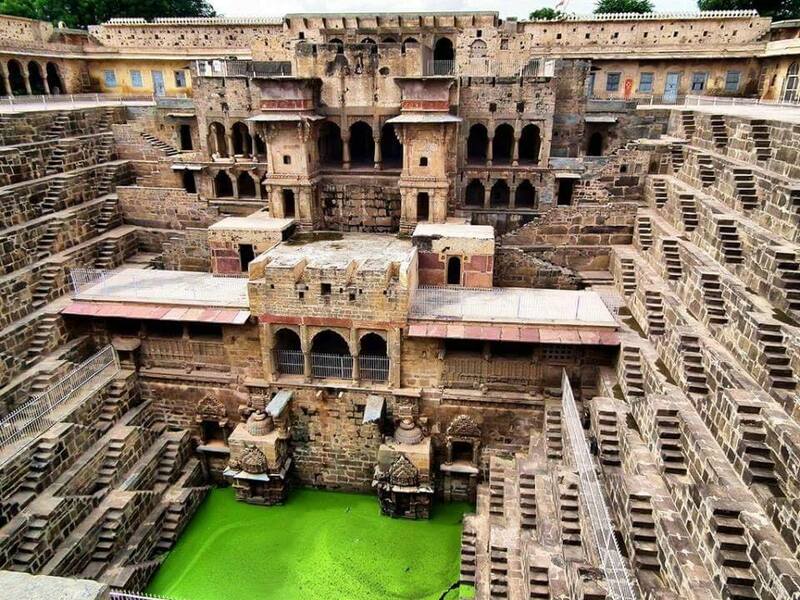 As the green water at the base attests, the well is no longer in use, but it makes for an interesting stop-over to an architecturally impressive structure that is over 1000 years old. There's also a temple adjoining the well for visitors to explore. 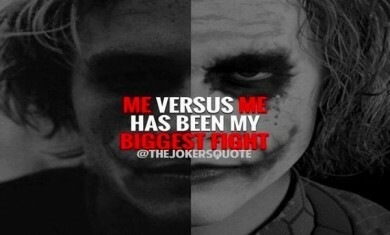 Chand Baori was featured in the movie The Fall and also made a small appearance in Christopher Nolan's blockbuster The Dark Knight Rises. The well is now a treasure managed by the Archeological Survey of India. 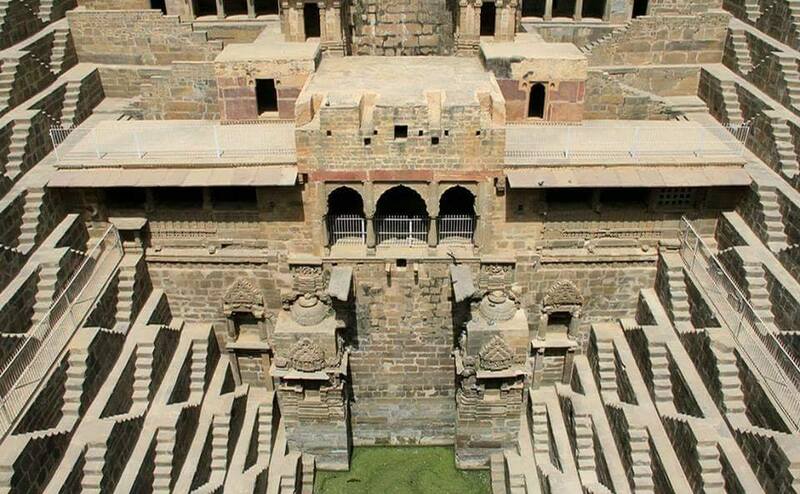 Chand Baori in Abhaneri village in eastern Rajasthan, India, is one of the most overlooked landmarks in the country. 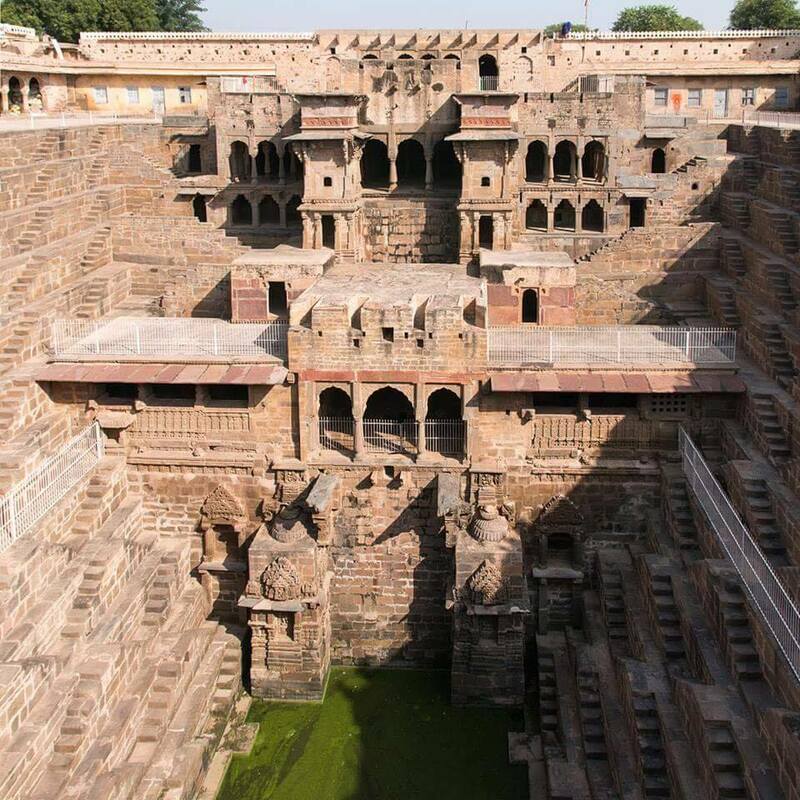 It is one of the oldest stepwells in Rajasthan and is considered to be among the biggest in the world. 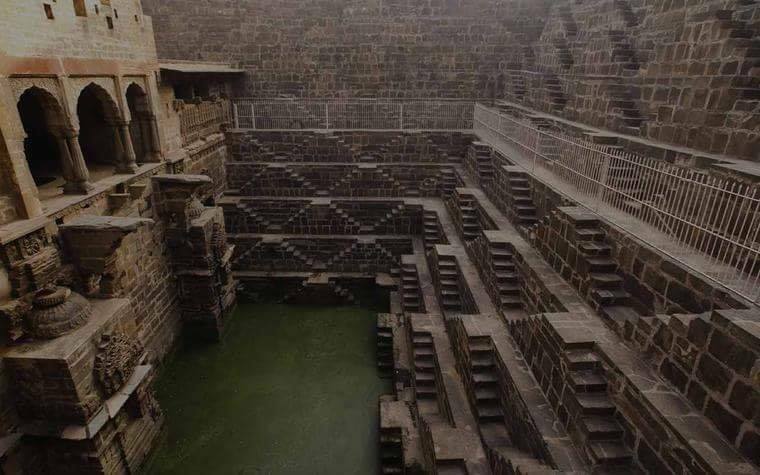 Chand Baori looks like anything but a well. This incredible square structure is 13 stories deep, and lined along the walls on three sides are the double flight of steps. 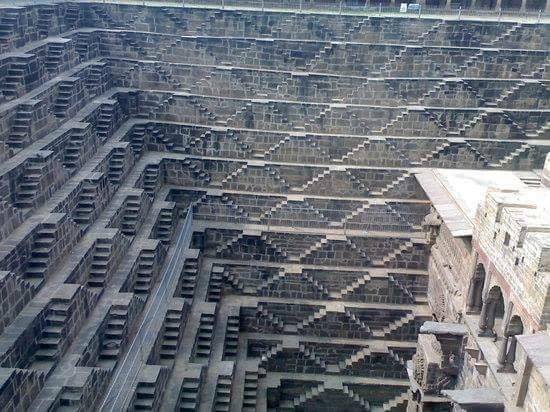 3,500 narrow steps arranged in perfect symmetry descends to the bottom of the well 20 meters deep to a murky green puddle of water. 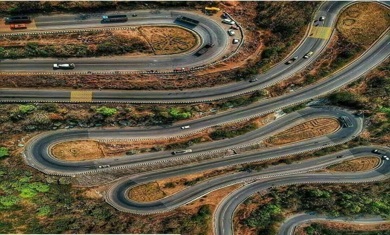 Built during the 8th and 9th century by King Chanda of Nikumbha Dynasty, provided the surrounding areas with a dependable water source for centuries before modern water delivery systems were introduced. As the green water at the base attests, the well is no longer in use, but it makes for an interesting stop-over to an architecturally impressive structure that is over 1000 years old. There's also a temple adjoining the well for visitors to explore.